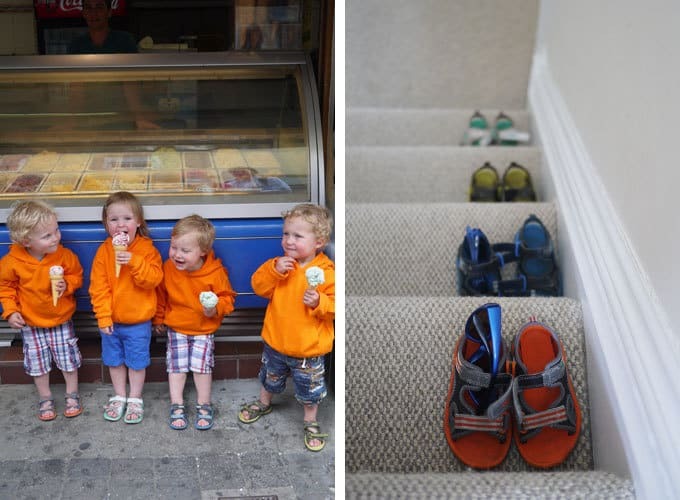 In July we joined some of our pals for a week long holiday in Salcombe, Devon. 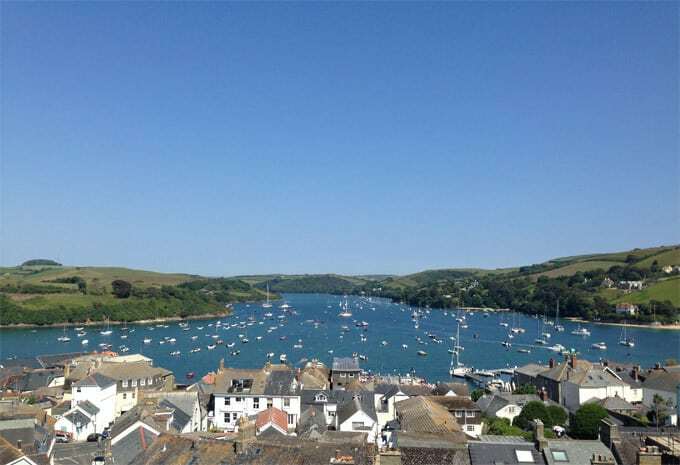 Salcombe is a small town, perched on a sunny spot in a naturally sheltered harbour. The estuary stretches away left and right from the town leaving stunning views in each direction. In life friendships change and lives diverge, so it’s really special when you do somehow manage to share a stage in your life with great mates. That is how this scene of chaos came to be; two sets of twins born within 6 months of each other. 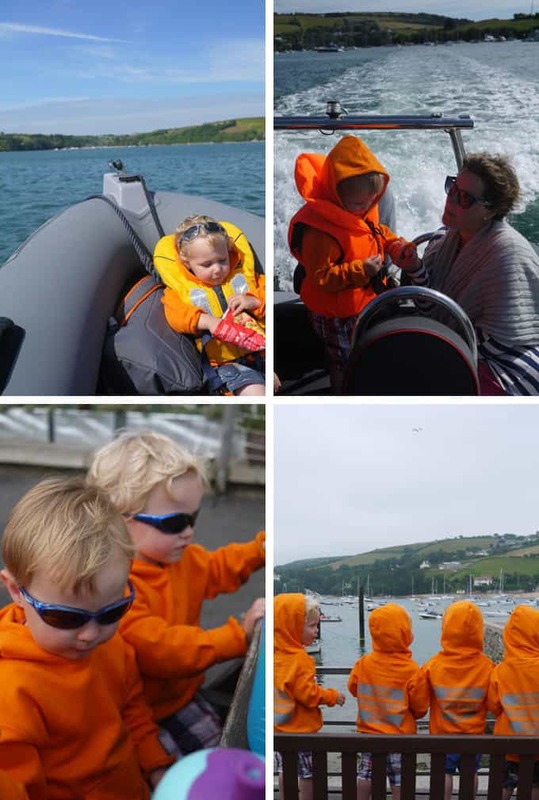 Watch out Salcombe, here they come..
Franky’s family have been spending every summer in Salcombe for the last 30 years, so she makes a great guide. 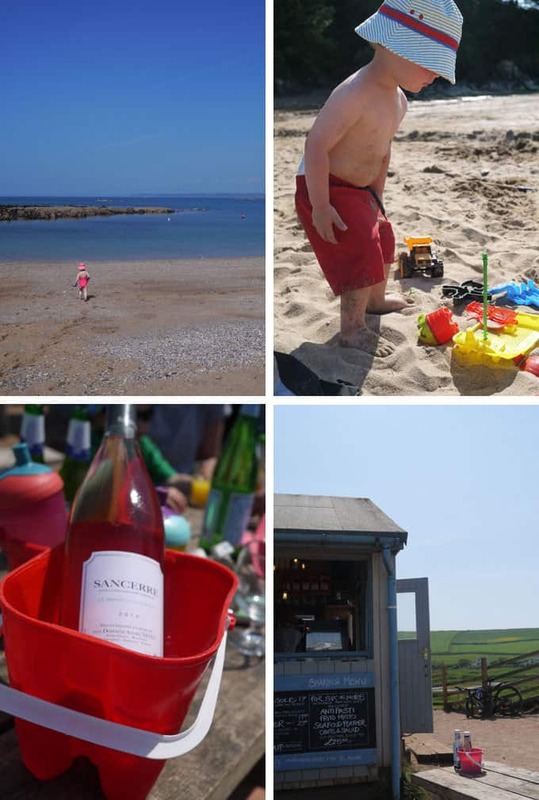 We started the week as we meant to go on, paddling for children and rosé for the Mummas. The handful of beaches across the estuary from Salcombe, are accessible by boat. There’s a little foot ferry that pootles across the harbour regularly each day, carrying families laden with picnics and spades and suncream. 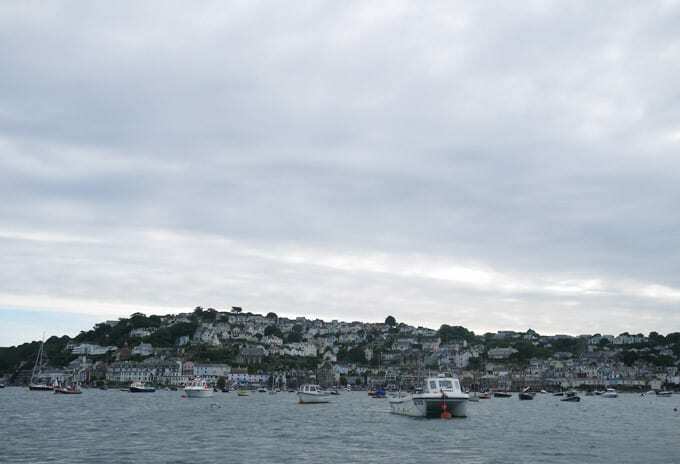 Franks and Guy have a boat moored in Salcombe. Captain Guy and his able crew took us on our daily adventures around the harbour and beyond. 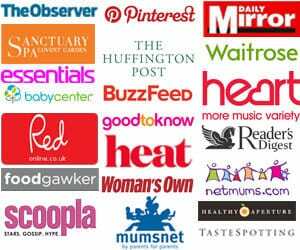 Some mornings, whilst everyone was still a little bleary eyed and the children sat in a giant bed together supping their morning milk, I sneaked out. With most of the town sleeping I quietly wandered along Fore St and bought the most amazing bread and pastries for our breakfast from the bakery. This is the real thing. Rich, deeply flavoured sourdough, light as airy flaky croissants and the best giant cheese straws I can imagine. 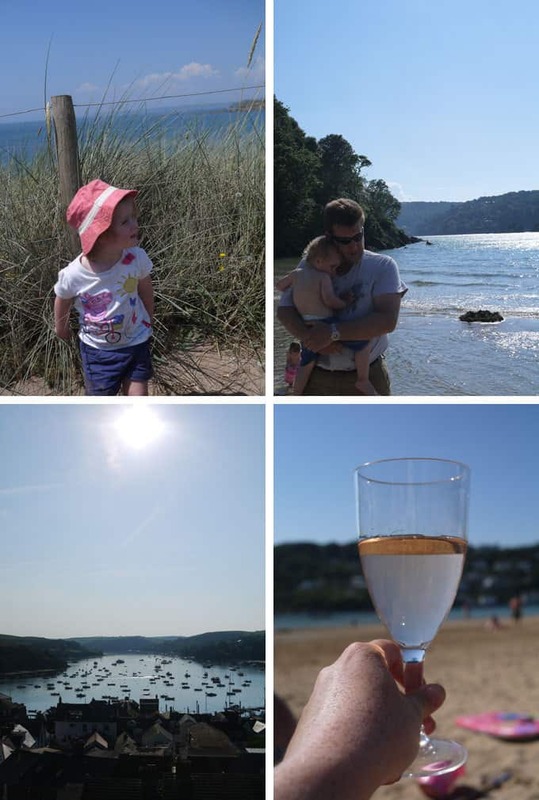 During our week in Salcombe, we hopped in the car to South Milton Sands, a short drive away. (Can you ‘hop’ in the car with four toddlers?!) We pulled up to what must be one of the most beautiful beaches in England. Crystal clear water, framed by craggy rocks and golden sand. 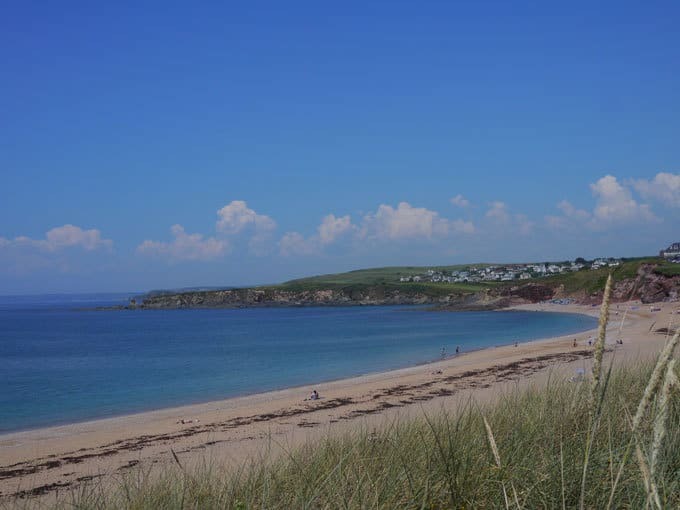 We sat and basked in the sunshine whilst the children ran to the sea shore filling buckets and collecting pebbles. Beach time with kids is mostly about handing out snacks, negotiating to apply suncream, wrestling on hats and swim nappies. Somehow, despite the whirlwind of four toddlers, this beach felt totally and blissfully peaceful. Or maybe it was the promise of wine and lunch at The Beach House? 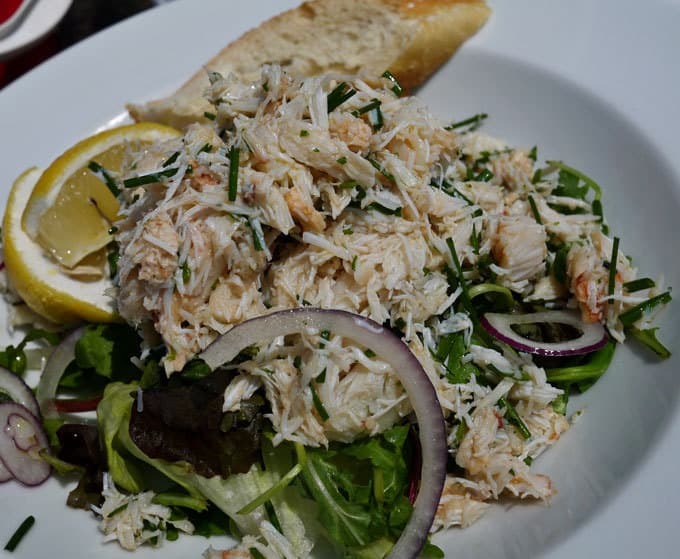 Perched at the top of the beach, The Beach House is a café in a shed, serving fresh seasonal food. It’s pricey, but I can forgive it as they use beach buckets as wine coolers and I enjoyed the best plate of fresh, white crab I’ve ever eaten. 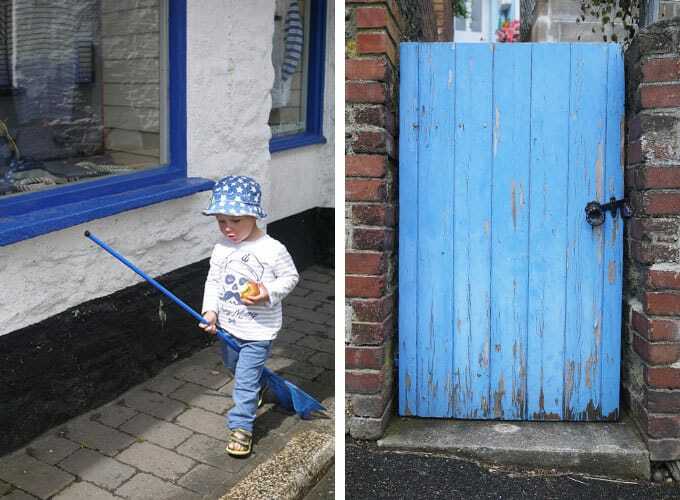 The town of Salcombe itself is a picture perfect mixture of quaint cottages, colourful houses and independent cafés. 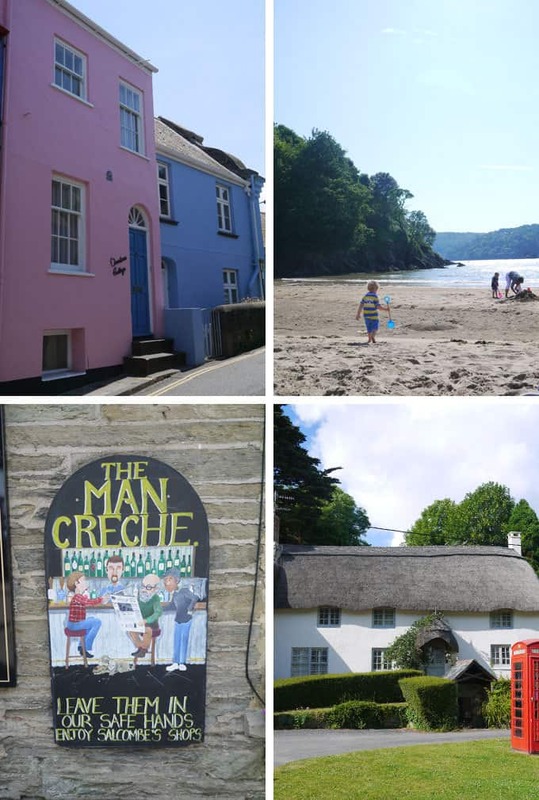 There’s plenty of the usual posh holiday town shops (Joules, Fat Face and Jack Wills) coupled with more unusual Devon gems like Amelia’s Attic and The Salcombe Trading Company. 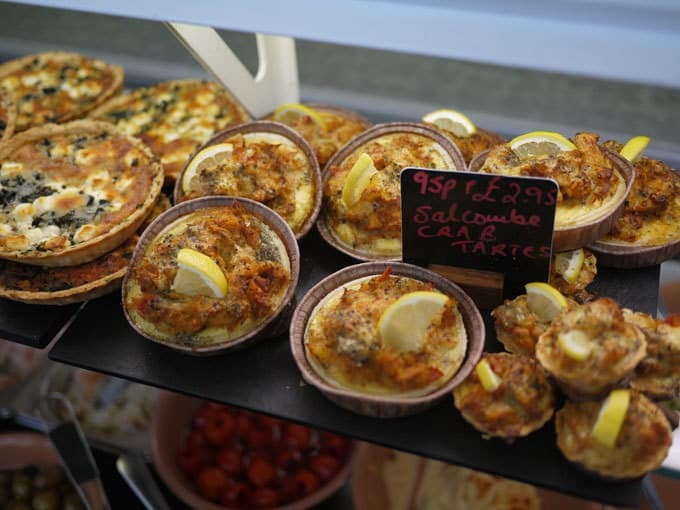 If you’re in Salcombe at lunchtime, wander through the town, stop for a crab tart at The Salcombe Yawl and finish with some Salcombe Dairy Ice-Cream to eat whilst watching the boats. Covered in sand, ice cream and hangovers for the parents, we waved goodbye to our fantastic week together. I can’t wait to watch our two sets of miracle twins causing more chaos on holidays in years to come. So pleased you had a fantastic holiday Julia. Such a beautiful area of the country.